We present a very simple dish served with our Organic Romesco Sauce. 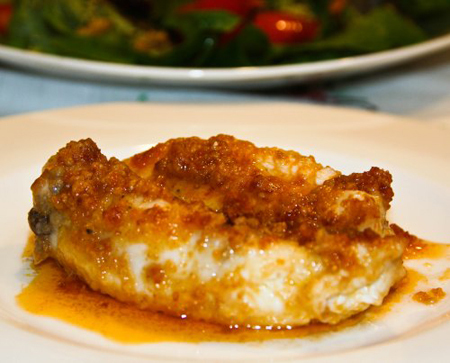 Put salt and flour to the monkfish tails and cook in a sauce pan with extra vergin olive oil. Place the romesco sauce in the casserole, pour a good cognac drops to flare up then add the tails and cooking.